Play Lucky Angler for real! And even though a Lucky Angler can be found in warmer areas too, I assume we are not going for a sunny trip as my idea of a snowy catch doesn’t involve palm trees and sunburn. Nope, we are going fishing, ice fishing to be honest. And even if ice fishing isn’t your cup of tea, the mix of fun features, soft graphics, and continuous animations in this Lucky Angler video slot is sure to appeal, even to those who don’t feel like dropping a line watching it for hours waiting for the catch of the day. You know you’re getting into the game, the moment goose bumps set in and your toes start to freeze. Don’t stop playing though, it’s part of the process, and totally normal when playing a Netent video slot. 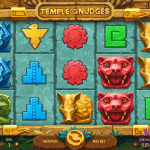 It’s because of the animations used by the designers, the sounds in the background and the environment the video slots shows up in as some Netent Casino know how to enrich the gameplay by suitable backgrounds. If it comes to Lucky Angler on itself, you’ll get frozen toes already, just by looking at the symbols covered with fishes and items from the ice sea. 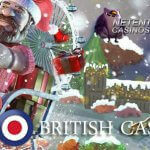 This great video slot can be played by any type of player as its coin values covers amounts from 0.01 to 0.50, available in different currencies at the many Netent Casinos you can choose from on this site. Additionally you can place up to ten coins per bet line to increase the total bet which goes up to 150.00. When you choose to keep it simple, you can either stick to a minimum 0.30 which can steadily be increased thanks to the bet levels and coin values, making it possible to choose from dozens different betting combinations. 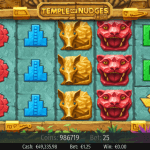 Lucky Angler has all the allure and features one would expect from a video slot designed by Net Entertainment including Wilds, Scatters and Free Spins, but also a less common Win Both Win feature. This means you won’t be bored while playing Lucky Angler and maybe they even make you forget your frozen toes as well. 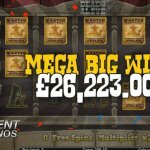 I do believe you will like the features Lucky Angler is offering and the Win Both Way feature has already been proven very effective as it can be found in other Netent slots like Dragon Island and Starburst. And not for nothing Starburst is the most played video slot in both, Netent Casinos and mobile casinos. 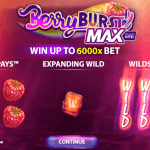 Besides the very successful Win Both Way feature, I’m also sure the Sticky Wild feature will be a big hit as it will be responsible for a lot of nice winnings. Why I’m so sure? Well first of all it appears very often, while it also works perfectly together with the Both Way Win feature. A Wild only becomes sticky for another round, when it completes a winning combination and it is the Win Both Way feature responsible for more winning combinations. You must love the Sticky Wild which freezes into an ice cube just before it becomes a Sticky Wild, and because it can stick around for a while as long as long as it’s responsible for new winning combinations. O yeah, and of course because a Wild, sticky or not, substitutes for all other symbols except Scatters. No matter if you play Lucky Angler as a desktop game in one of the Netent Casinos or the mobile Touch® version of Lucky Angler, there is a chance some patience is needed while playing this icy cold video slot when it comes to the Free Spins feature. This sounds worse than it is though, because I’m sure the Sticky Wild feature will keep you very busy in the meantime, but it would have been nice if the creators would have realised that Free Spins are there to be won, not to be waited for. 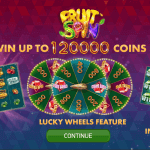 But, if you do wait for a bit until Free Spins get activated, the chance is very big it was worth waiting for as the Free Spins Feature offers 10, 15 or 20 Free Spins. I can’t promise you the moon, actually I can as Free Spins will be played in the moonlight, but I can promise you an amazing gameplay and even more amazing extra features.